Susanna Samet is the Public Policy leader for Deloitte. She manages the execution of the firm’s public policy agenda as well as its engagement in the broader policy community. 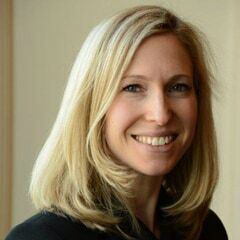 Prior to joining Deloitte, Ms. Samet led projects for clients focused on building coalitions and designing advocacy strategies to enable policy change on topics ranging from women’s political empowerment and leadership to environmental risk mitigation. She spent many years working with NGOs in the Middle East and North Africa to advance women’s political and policy engagement. Ms. Samet has a J.D. from the University of Maryland Law School and B.A. in Government from Cornell University.